Caste certificate not only proves your caste but plays a big role for the backward class people. They get several advantages and privileges from the government with its help. The Assam government has made the process quite simple so that everyone can apply with ease. The complete process is mentioned below for your help. Visit the official website of Assam government https://assam.gov.in/home. On the right corner of the page, there is an option for sign in. It will direct you to the official login page of the website. Now, if you are not registered to the website, register first. After completing the registration, log in the website using the user id and password. After signing in, click on the e-Governance Services. When you log in there, the e-Form page will appear on your screen, where you have to select the form for caste certificate from the drop-down menu. Fill up the application form and upload all required documents with it before submission. The fee for the application is INR 25. You can submit it using a credit card, debit card, or net banking. After submission, you will be given an acknowledgment number, which can be used later to track the application. Verification will be done and if all goes good, you will get the caste certificate within 30 working days. 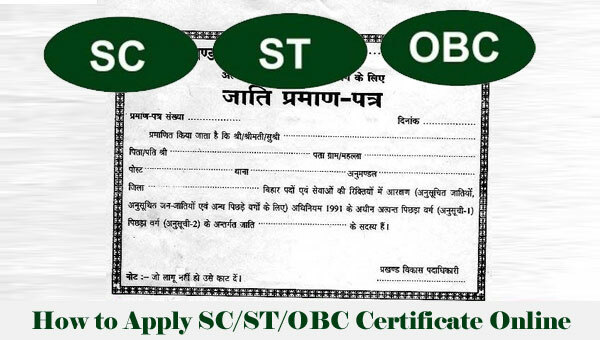 Download the application form by clicking the link https://assam.gov.in/documents/10180/1641415/APPLICATION%20FOR%20CASTE%20CERTIFICATE.pdf. Take a print out of the application form on A4 sized paper. Fill up the application form with correct information and attach all required documents with the form. Submit the application form to the concerned authority and payment for the application must be submitted at the office counter. An acknowledgment number will be given to you, which will help you in tracking the application later. If the applicant is from an urban area, Ward Commissioner’s report is required, whereas if the applicant is from the rural area, a report from Gaonburah is required.